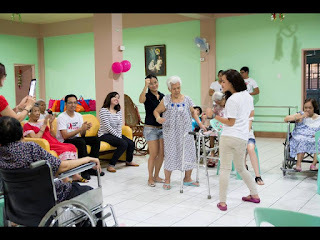 Anne happily celebrated her 26th birthday together with the Lola's of Bahay Kanlungan. It was a very memorable day for them as they rarely get visitors. 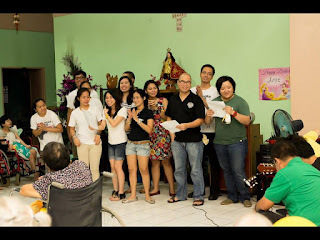 Some of them used to be from the streets while others were left off at the center by their relatives who obviously cannot support them. 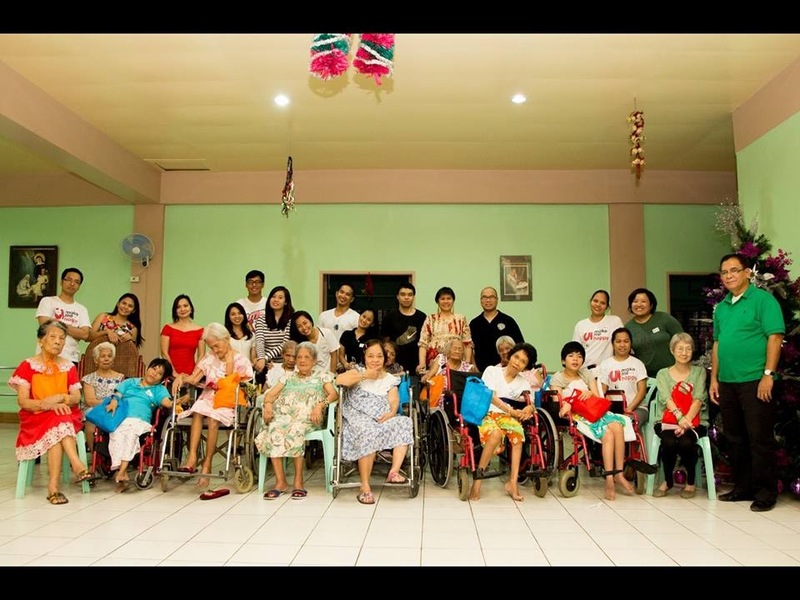 Majority of these elderly can no longer walk on their own so they either use a cane or wheel chair. 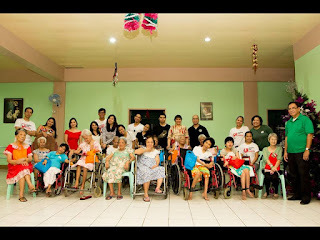 Simple gathering gives them so much joy and alleviate their loneliness. The lolas were ecstatic as they sing and dance with the volunteers. Some even bragged how they groovy dance back in their younger days. Volunteers made accessories like earrings, bracelets and necklaces which make them smiling feeling special even for a day. Any celebration will not be complete without a sumptuous feast. Everyone were delighted to taste Nana's Cooking who served a spread of tasty meals. As the celebration goes to an end, the volunteers sang a Christmas Carol to the lolas to let them feel the spirit of Christmas.